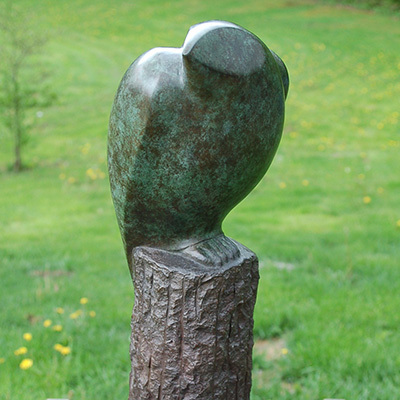 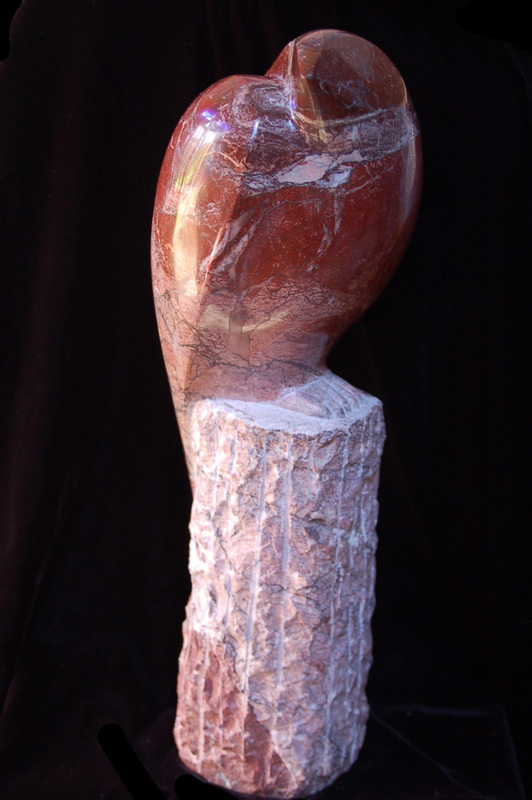 This one is part of a series of simple birds on various pedestals. 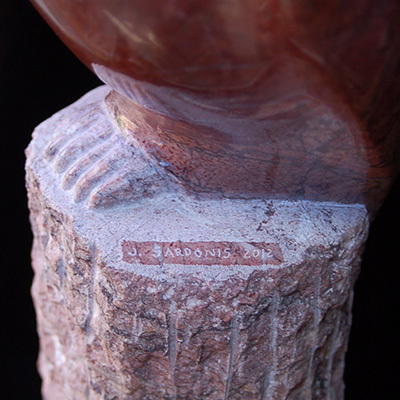 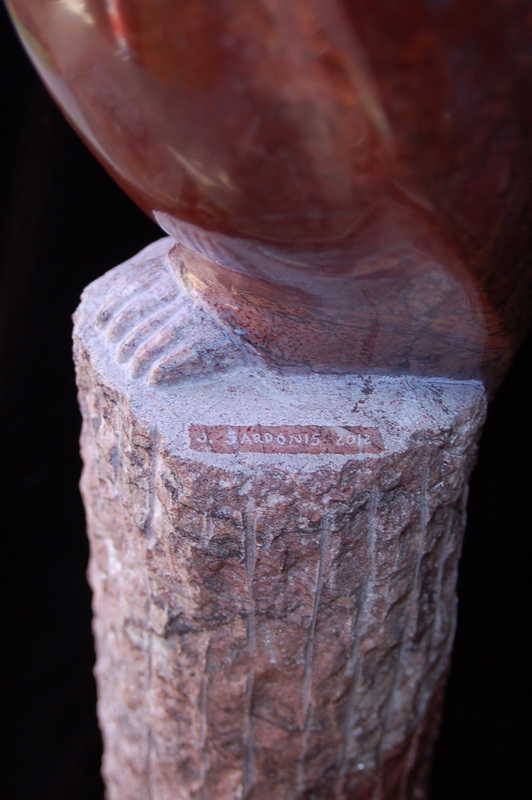 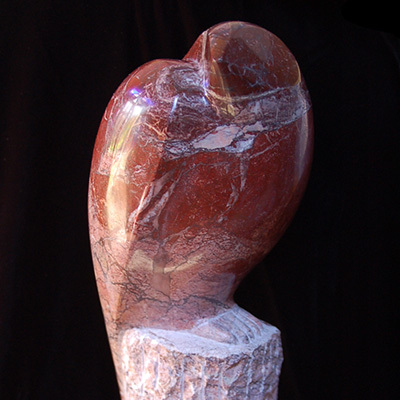 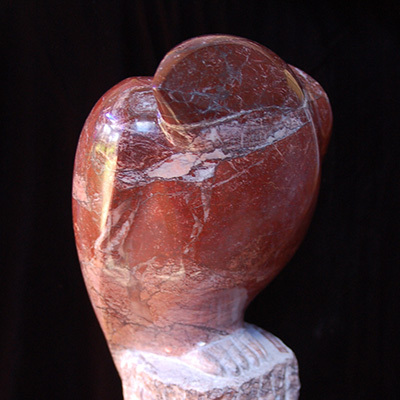 I carved it from a piece of beautiful red marble, which is quarried in Cape Breton, Nova Scotia. 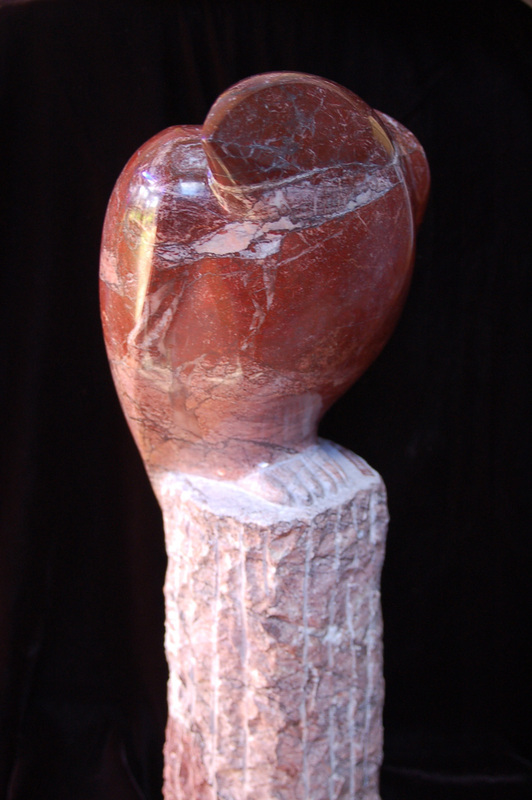 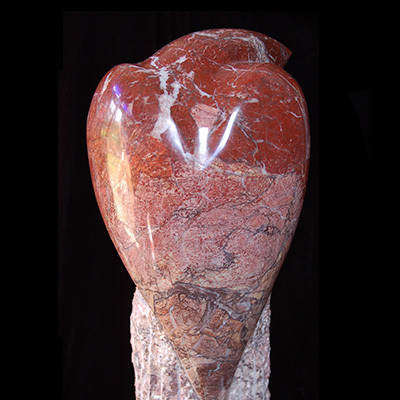 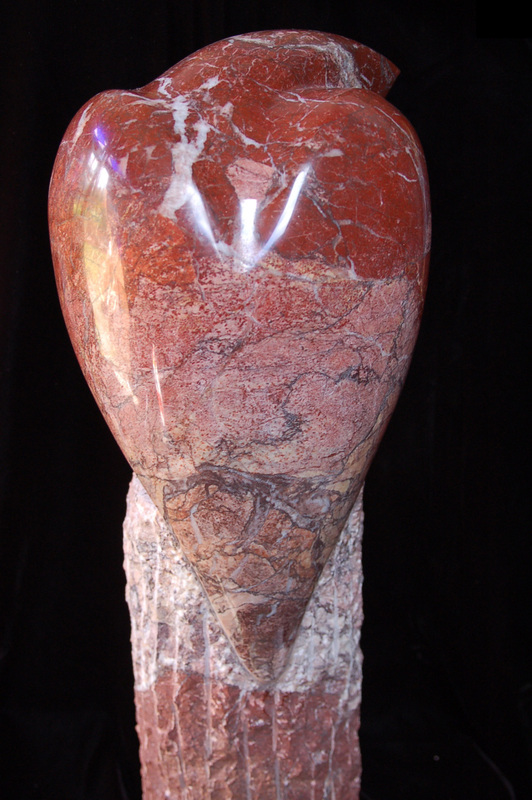 The broken “rock” texture of the pedestal contrasts nicely with the polished red bird. 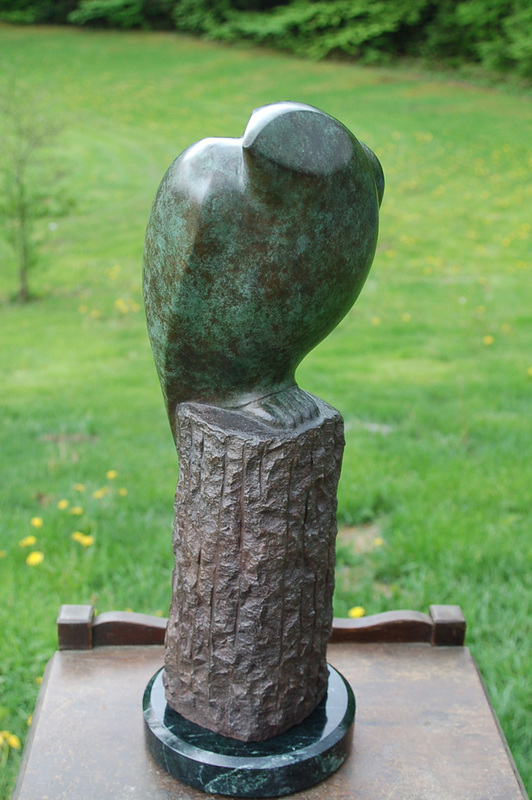 I have made a mold of this piece and bronze castings are available for sale.